Having more than 350 million followers around the world, Buddhism finds its origin some 2,500 years back. Being the fourth largest religion, it is also one of the oldest religions of the world. The originator of Buddhism was Siddhartha Gautama, who was the son of Suddhodana, a Kshatriya and the chief of the Shakya clan. 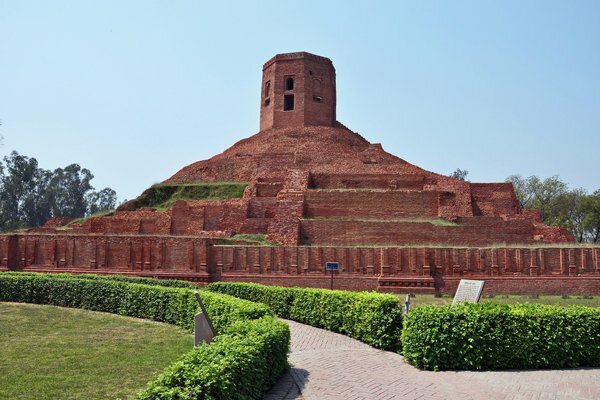 Gautama Buddha or Shakyamuni primarily lived his life in the Gangetic plains of North India and Southern part of Nepal, hence, the most important Buddhist pilgrimage sites are also found over here. Buddha belonged to a royal family. He was born in a place called Lumbini, while his mother was on her way to her parents home. 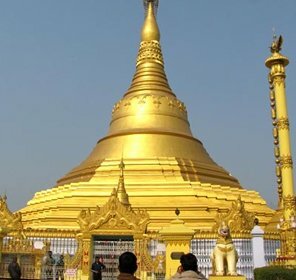 The holy place of Lumbini (located in present-day Nepal) is one of the four most sacred Buddhist pilgrimage destinations in the world; the other three being Bodh Gaya, Sarnath and Kushinagar. As per the historians, his duration of existence on earth is estimated between 566 to 486 BCE but as per a recent study, the period of his birth and death is presumed to be around 490 BCE to 410 BCE. Buddha's birth is celebrated as 'Buddha Poornima' in India as it is believed that the day of his birth was a full moon day. He lived in the lap of luxury, completely oblivious of the sufferings or hardships of life. At the age of 29, Siddhartha stepped out of his royal enclosure and encountered an old man, a sick man and a corpse. Getting a glimpse of the harsh realities of life made him restless and he began his search for a source of eternal happiness. He left his comfortable kingly life, a wife and a new born son to search for answers in the wilderness. Siddhartha sought knowledge from the religious gurus of different religions, but they couldn't satisfy his curiosity. He started to tread the path of severe asceticism combined with meditation; still unable to find a way out of his doubts, he decided to follow a mid path which is neither tilted towards extreme poverty nor towards extreme luxury. Pursuing a mid way, one day, sitting under the Bodhi tree, Siddhartha decided to meditate till he got enlightened. He reflected over his experiences; recalled his past lives, saw how the power of karma governs the cycle of death and rebirth and cleansed his mind of all worldly desires, attachments and baseness. Thus, after six years of rigorous wandering on land as well as in the depths of his inner self, Siddhartha Gautama attained enlightenment and also the name of Buddha (the awakened one). Bodh Gaya (Bihar) was the place where Buddha got enlightenment and began the journey of awakening the fellow beings. It is also the holiest place for Buddhist spread all around the globe. Buddha found his way to enlightenment and taught his followers not to accept his teachings blindly, but interpret them through their own understanding of themselves and life. 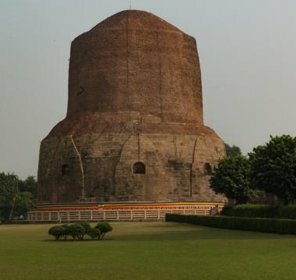 Among the major Buddhist pilgrimages in India, Sarnath (near Varanasi) is the place where Buddha gave his first sermon. The religion of Buddhism developed out of one man's unquenchable thirst to find a way out from the miseries of life, to grasp the source of secret happiness which would never change, never stop, as it is discovered inside of one's own self. 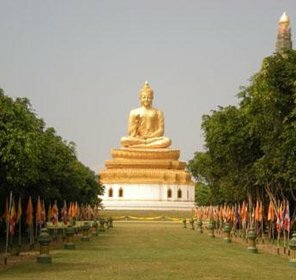 Buddha's parinirvana or freedom from earthly life occurred at Kushinagar (Uttar Pradesh), an important Buddhist pilgrimage destination. There are many schools of Buddhism, most popular being Theravada Buddhism and Mahayana Buddhism. But all of them endeavor to assist the followers on the way towards enlightenment. 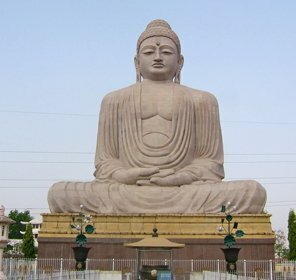 Other popular Buddhist pilgrimage destinations in India are Sanchi, Kapilvastu, Rajgir, Nalanda, Sravasti, Vaishali and Ajanta and Ellora caves. Tour My India offers customized Buddhist pilgrimage tour packages that meet your specifications. All you need to do is select a pious destination(s) and let us plan the pilgrimage for you. We will make sure that you enjoy a safe and happy pilgrimage to the most sought after Buddhist holy places.